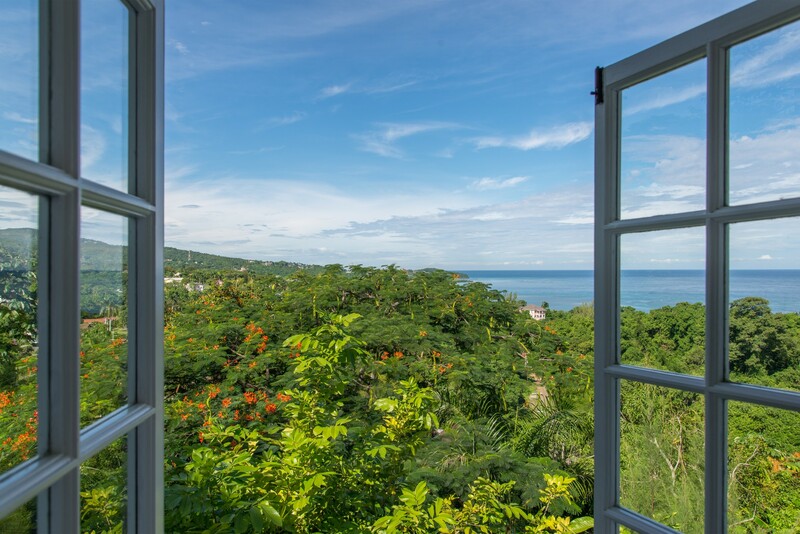 Dramatically perched on a lush green hillside above the sea, Cliffside Cottage commands stunning views of the deep blue Caribbean Sea by day and romantic lights that glisten across Montego Bay after sunset. Sunrise and sunset vistas from this vantage point are mesmerizing. 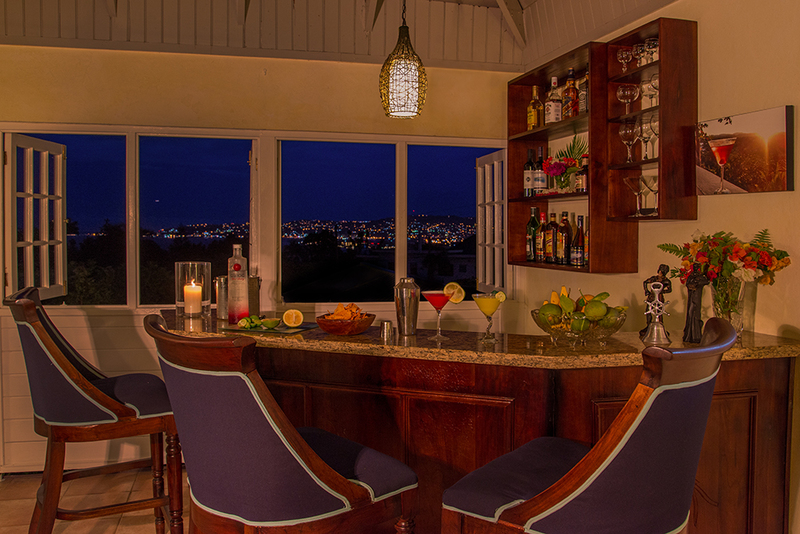 Cliffside Cottage has membership to the Tryall Club. For all future reservations from December 1, 2018 forward, an additional Temporary Membership Fee of US$26 per person per day plus a 15% service charge for any guest 16 years and older will be required. Payment will be made at the Front Desk in the Great House upon arrival. After paying the Temporary Membership Fee, members may use most Club facilities at no charge with the exception of tennis shop, ball boys, bar & restaurant, spa, grocery, motorized watersports, nanny services and golf. Complimentary amenities include the beach, non-motorized watersports, tennis, the excellent gym, the Hummingbird Kids Club, Great House afternoon tea, the Manager's Cocktail Party and various special events. 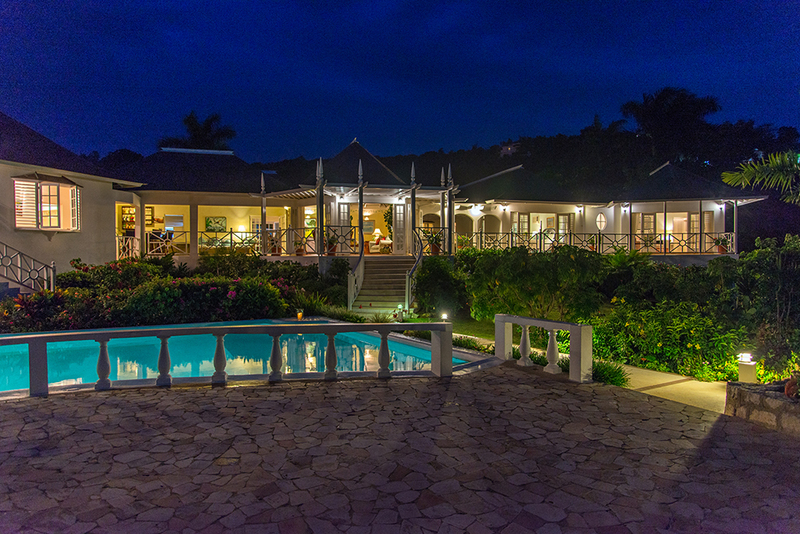 *NOTE: Tryall Club membership is guaranteed for guests travelling through November 30, 2019. Some villa beach memberships are not guaranteed if travel dates are beyond November 30, 2019. 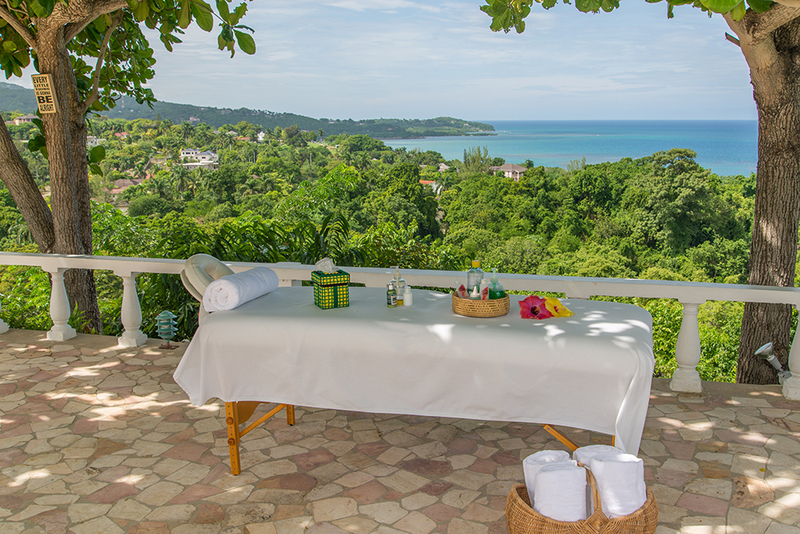 Ask our Villa Specialists if you have any questions. 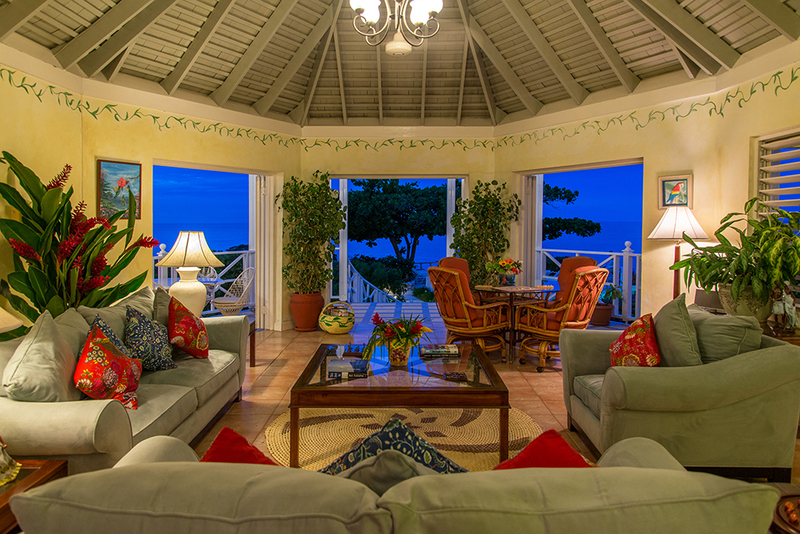 The central part of the villa is the large living room with high rafter-and-beam ceiling. 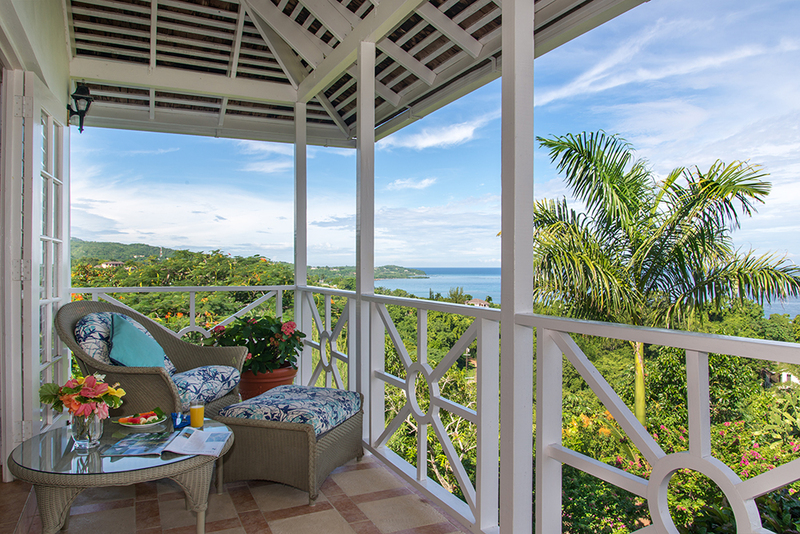 This space opens wide to a wrap-around verandah that captures the breathtaking view and refreshing tradewinds. 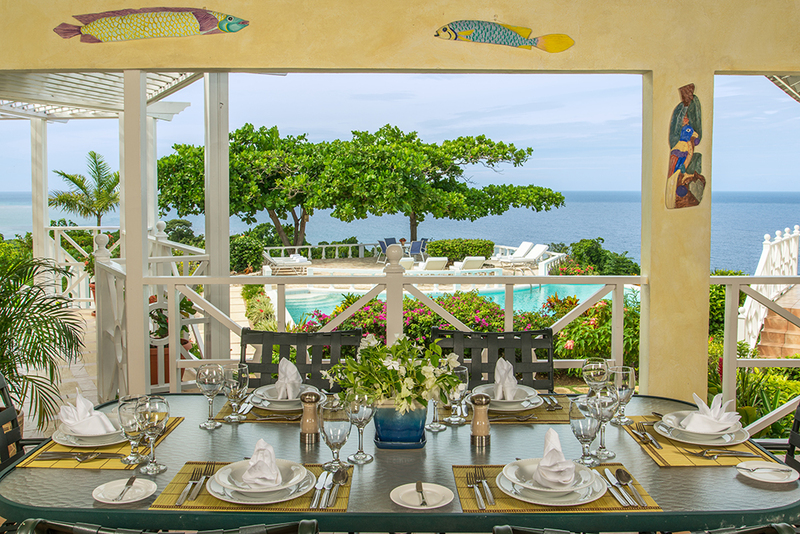 Wonderful home-cooked meals are served on the breezy covered east verandah with a view of Montego Bay across the water ... or in the cozy and colorful indoor dining room. 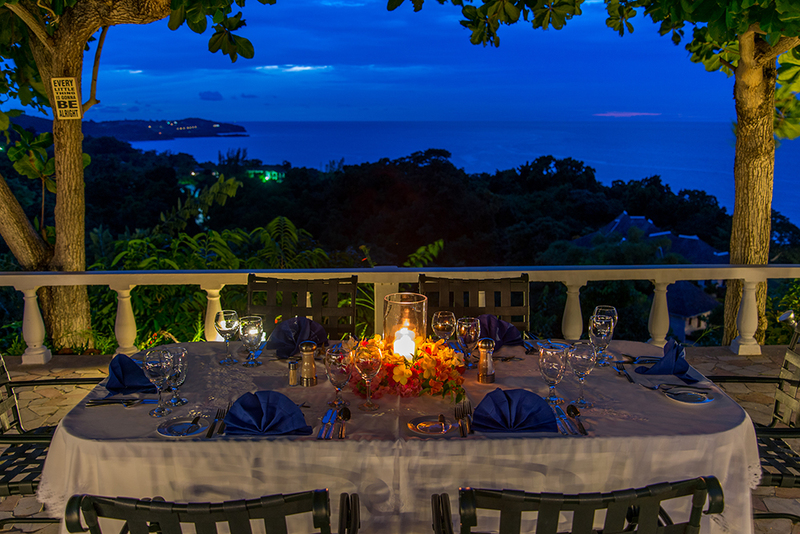 The staff will also create romantic poolside dinner parties under the stars at guests’ request. 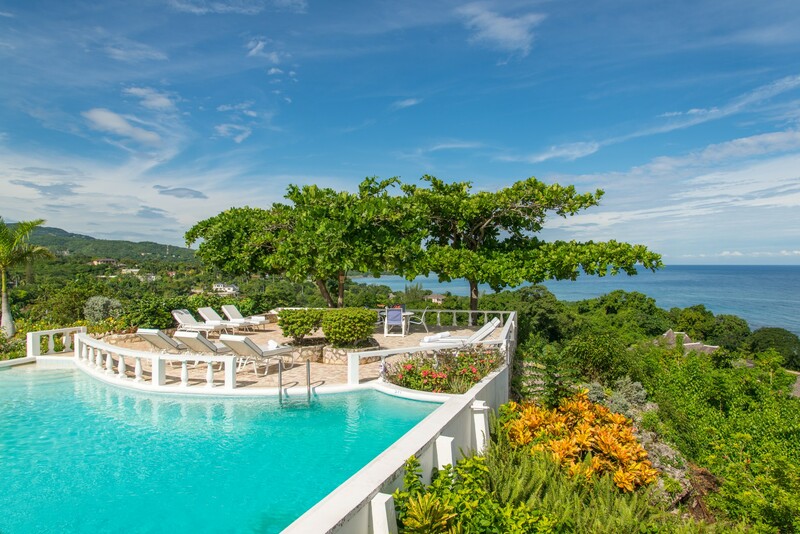 Just steps from the house are the large pool and sunny terrace trimmed in exotic purple and fuchsia bougainvillea attracting Jamaica’s delicate Doctor Bird. 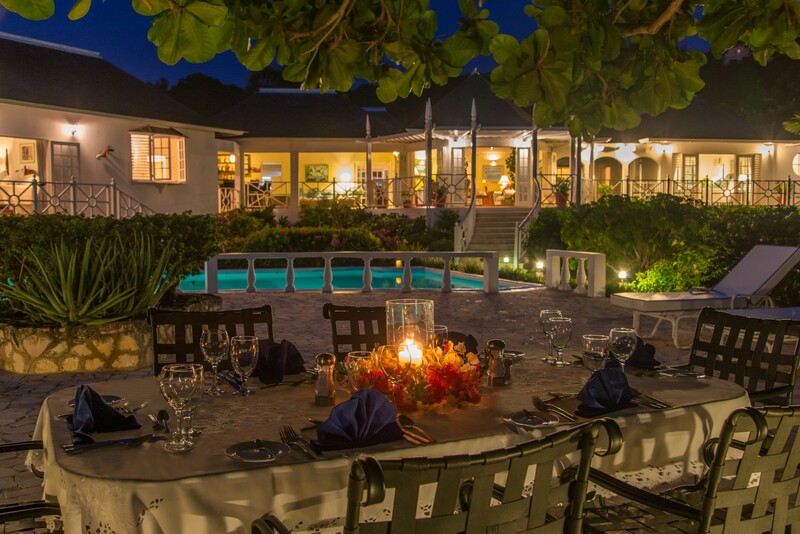 A special treat is after-dinner coffee or Tia Maria served on the pool terrace. 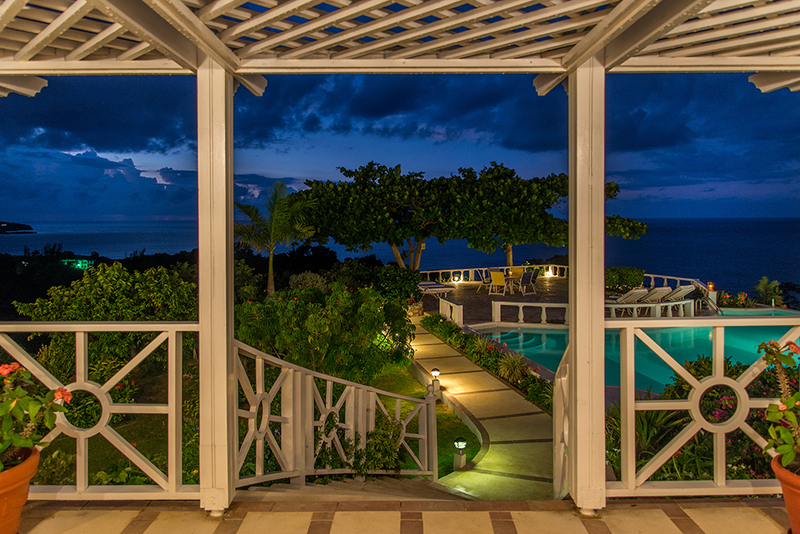 The pool terrace is also a wonderful spot for dancing in the moonlight under the great Jamaican sky. 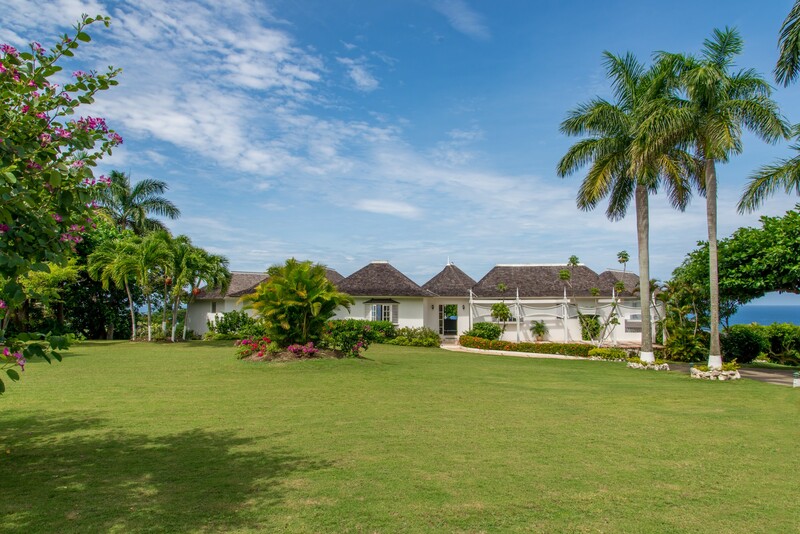 A few minutes' drive brings guests to Tryall Club where Cliffside guests have membership for beach and tennis privileges and, for various fees, a range of other activities including the Kids Club to keep youngsters entertained. In private east wing. 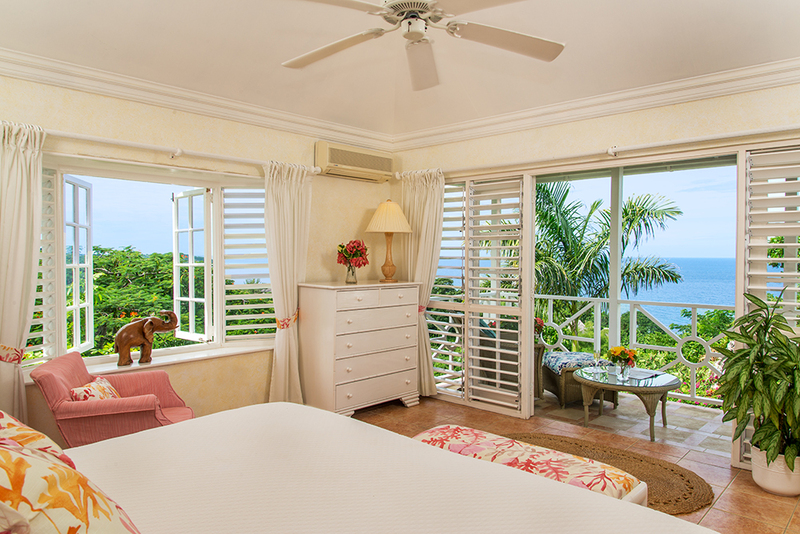 Kingsize mahogany canopy bed, French doors to private balcony with ocean view, French doors to side balcony and walkway to pool, en-suite bathroom with large walk-in shower. 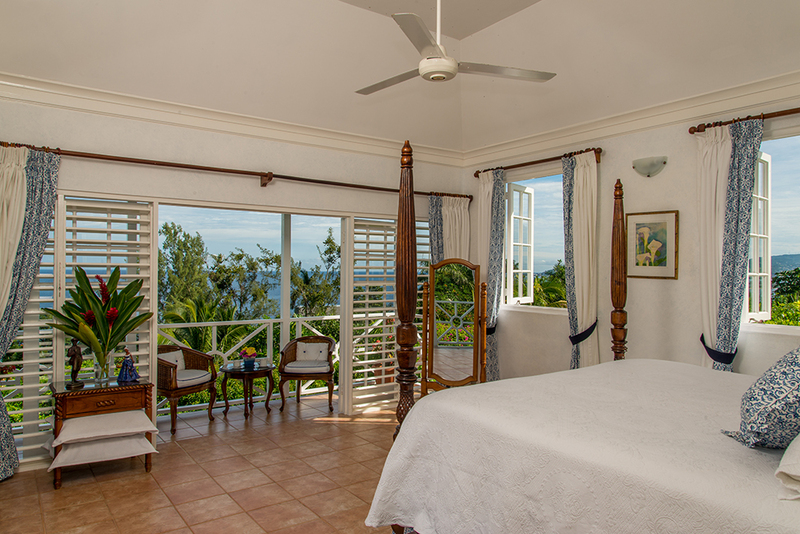 Queensize mahogany bed, French doors to terrace with ocean view, en-suite bathroom with large walk-in shower. French doors to interior garden with landscape lights and walkway to living room. Adjoining passageway with Bedroom 3. Kingsize or twin beds at guests' option. 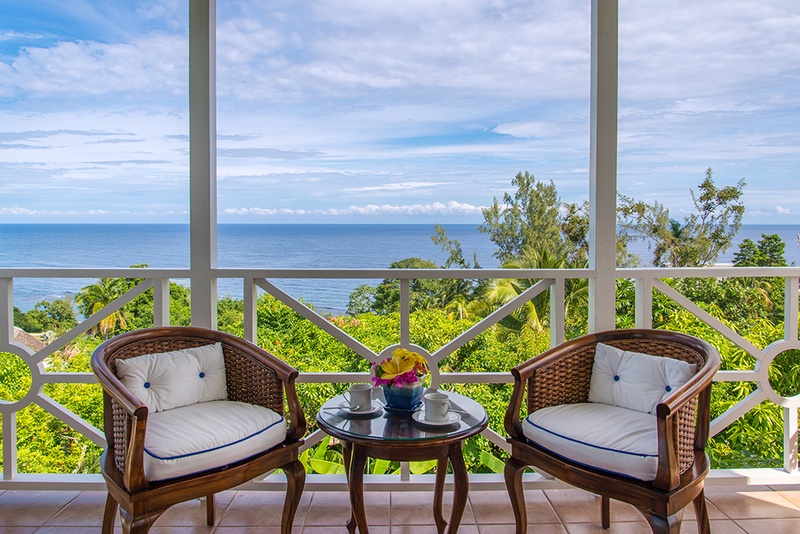 French doors to terrace with ocean and pool view. Large bay window with sunset views. 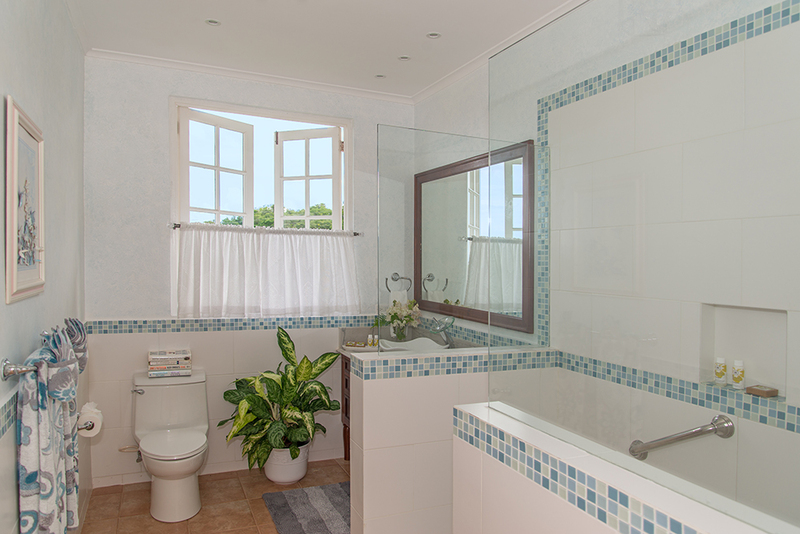 En-suite bathroom with double vanity and tub-shower combination. Adjoining passageway with Bedroom 2. 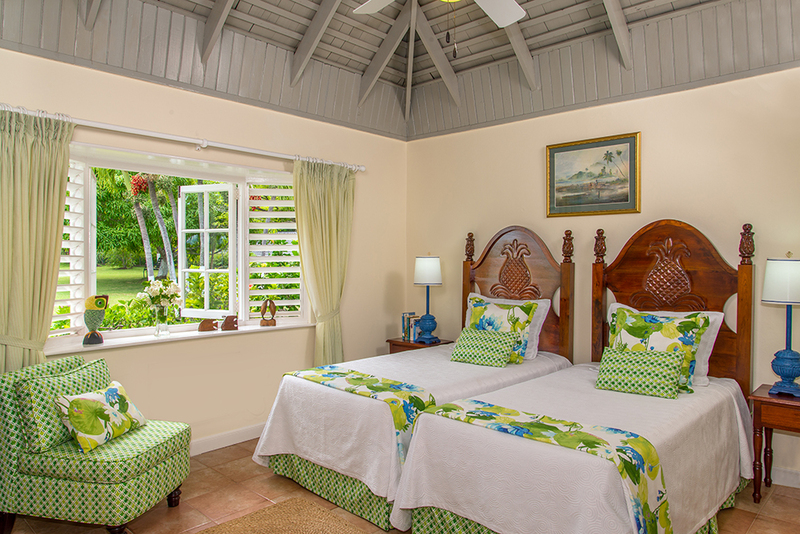 Kingsize or twin beds at guests' option along with day bed. Garden view. Hall bath with walk-in shower. Kingsize or twin beds at guests’ option. 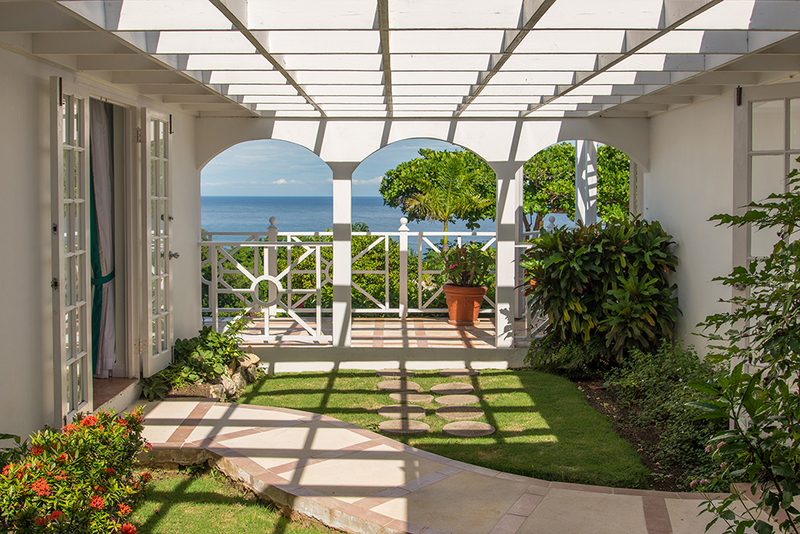 Garden view. 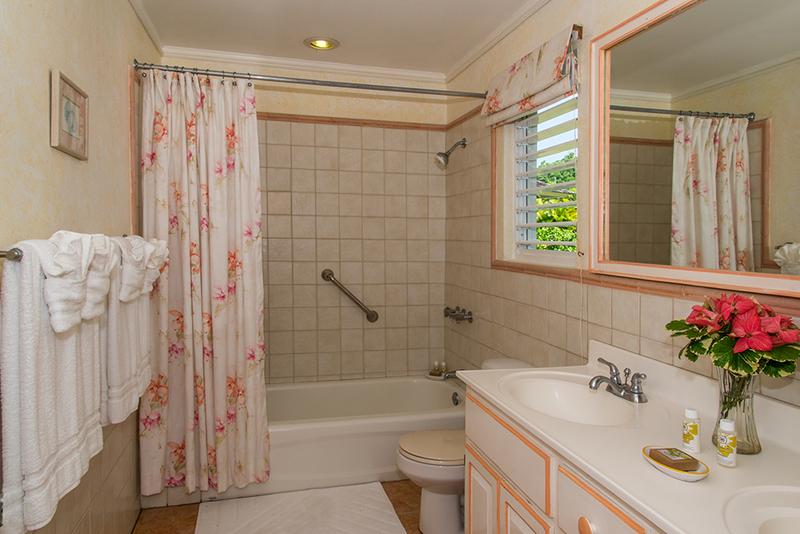 En-suite bathroom with tub-shower combination. Staff and service was great. Great food, lots of variety. We loved our stay would love to return. Everything with respect to the staff & service was outstanding! Exceeded expectations. Thank you! Meals were delicious, perfect. Accommodations overall excellent, we felt very much at home. Thanks for a wonderful stay! The staff is very warm, friendly. Everything is perfect. Excellent meals. A wonderful week for our family of 10. Perfect for ages 4-67! The staff was completely warm and welcoming from the moment we arrived. We felt completely taken care of. Delicious meals! We left every menu up to Chef Benford and each one was wonderful. We could not have had a better week. The house and grounds are well cared for and beautiful, very comfortable. Exceptional staff!! Enjoyed being with them. Accommodations were excellent. 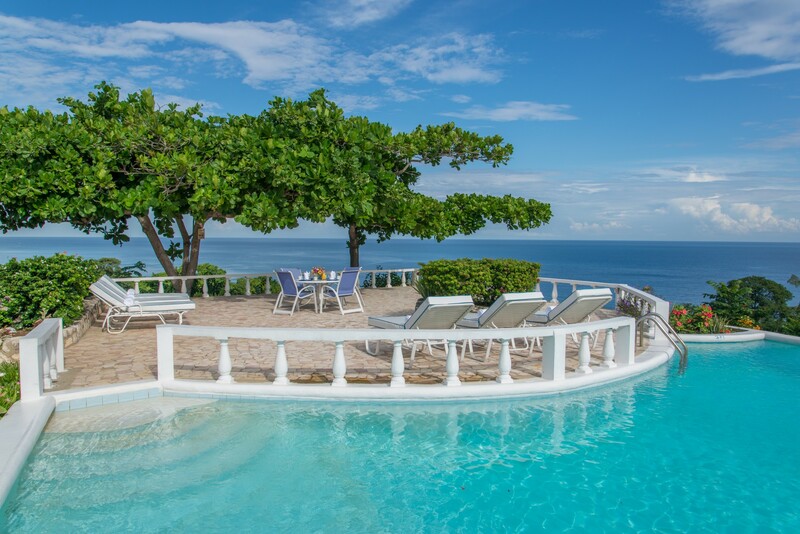 Cliffside exceeded our expectation and will plan to return! We had such an awesome time while in Jamaica!! The staff that was there 18 yrs ago when I first visited were just as kind and loving as the first time that I met them!! I am excited to start planning my vacation for next year!!! 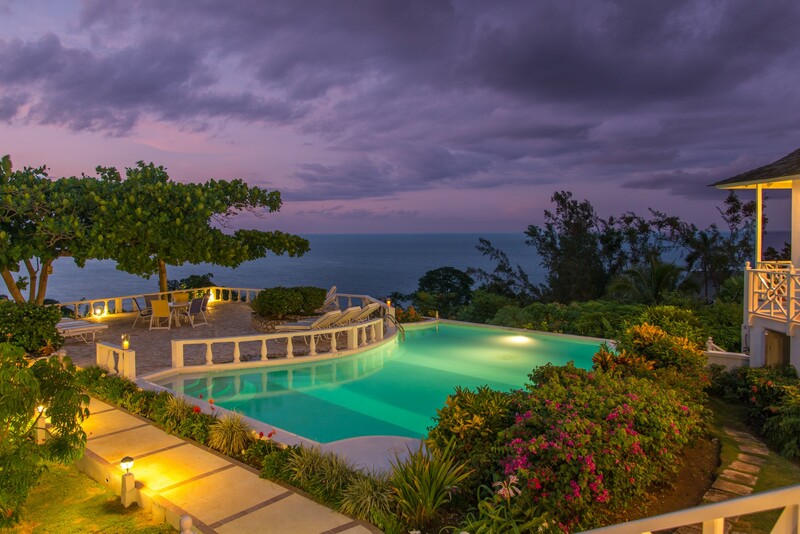 My family and friends had a great time at your property in Jamaica. 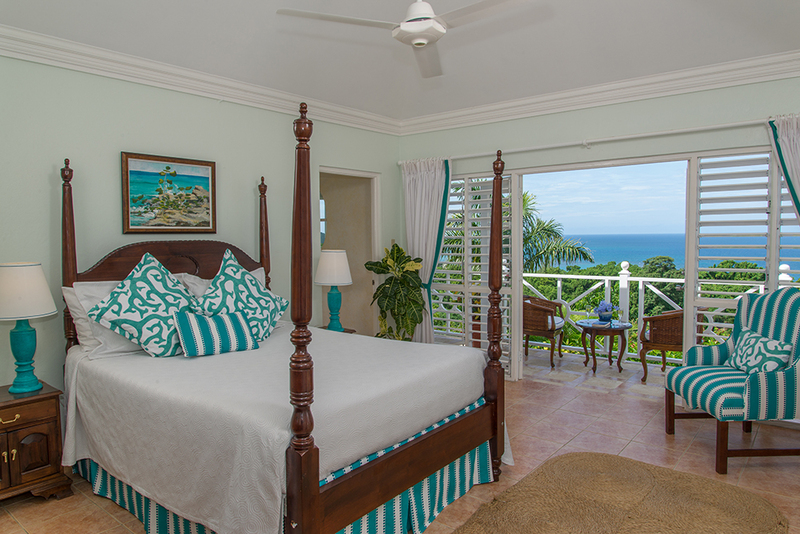 The staff were perfect,,,I would not hesitate to recommend this property to friends and family. Thanks for providing great hospitality! Superb! Exceeded our expectations. 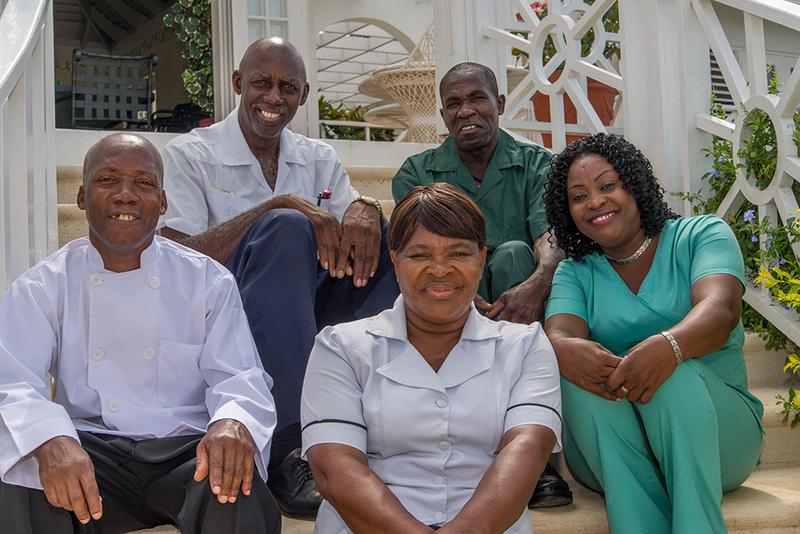 All the staff were friendly and accommodating – they made our trip very special. Wonderful service & beautiful villa! We had such a great time that we will be definitely returning! All of the staff were amazing. Michael, Clifford & Pat were outstanding. We loved the villa and will recommend to our friends! Staff, Service & accommodations were excellent! We loved all the staff who went above and beyond to see that we were comfortable, happy and safe. Having access to the two clubs was a real bonus for our group of young adults. We could all be together and enjoy a variety of activities. Our first experience with having a staff was a real luxury. Truly makes the vacation a holiday, especially for our Mom. Staff are all excellent! Taking them all home!! Absolutely wonderful! Superb! The staff is amazing and attended to our every need. Cliffside will be recommended. The entire staff was amazing! We were welcomed and treated with love for our entire visit. The house is updated and beautiful all around - pool and grounds. So tidy and clean,laundry was wonderful too! Clifford was kind, reliable and always on time with a smile. I would return and recommend absolutely! The staff made our trip special. The staff is amazing. Hope to be back soon. Had a wonderful stay. The staff is awesome. Loved all of them. We will hopefully return soon. 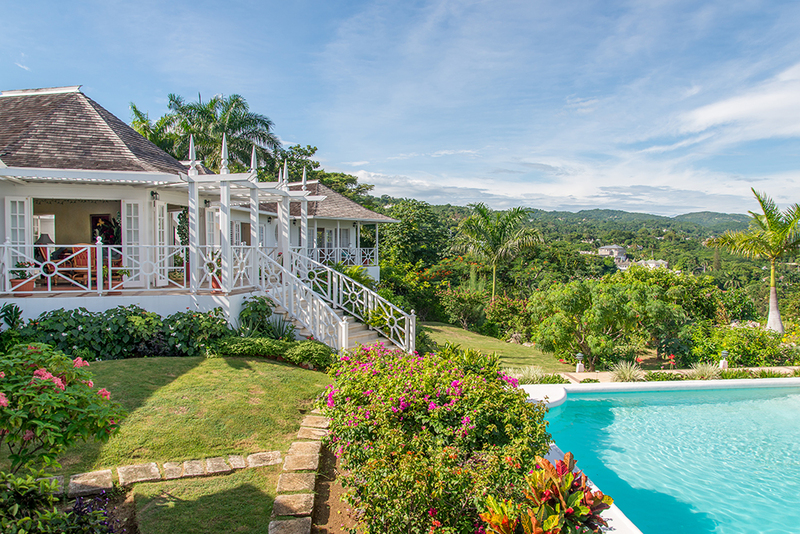 I will not hesitate to recommend this villa to anyone who wants to visit Jamaica! We have enjoyed every minute. We love the staff. Ms. Patricia is by far more than anyone could ever ask. She displays grace and elegance when serving guests. 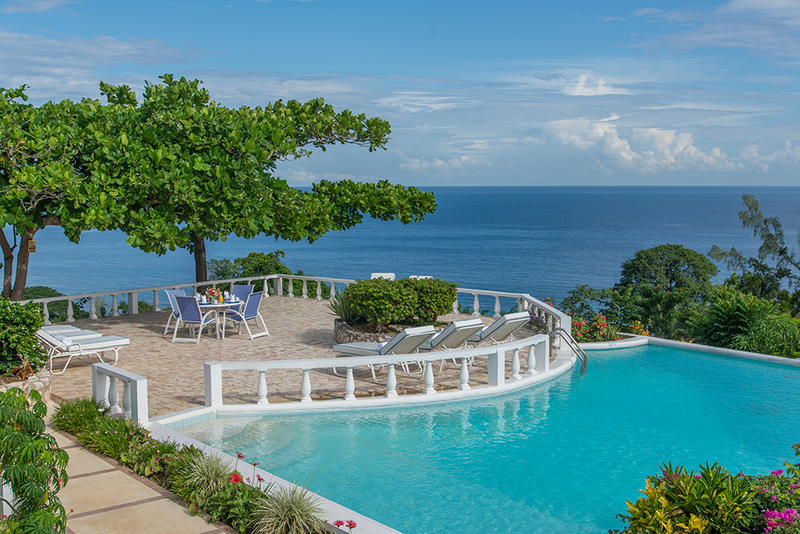 Cliffside Cottage is a 5 star villa. You can't ask for anything better. Great location & great view. Such a nice, warm welcome that continued throughout the entire stay. The house is beautiful and filled with an excellent staff. Can't wait to return and bring a group. This was a wonderful stay! The staff was around when we needed them, and everything was thought of ahead of time! Awesome chef! Beautiful views! 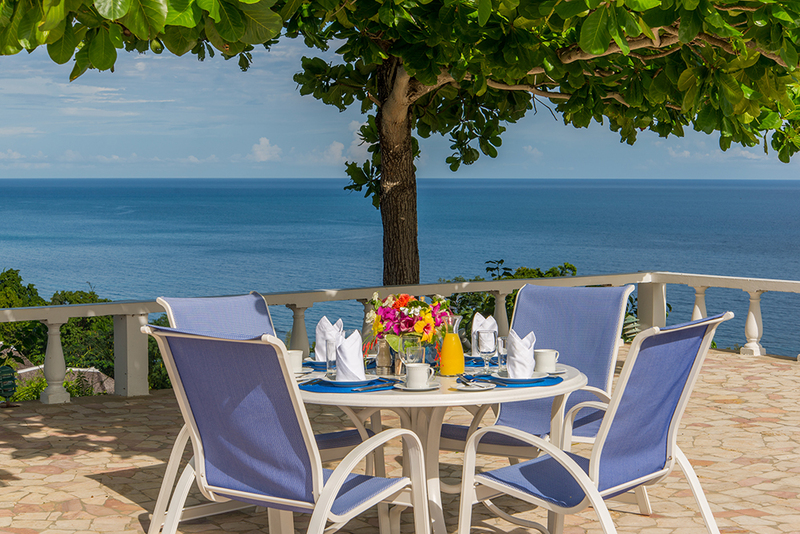 We recommend Cliffside Cottage. It exceeded our expectations and we hope to return! The staff is excellent and they make things so easy! 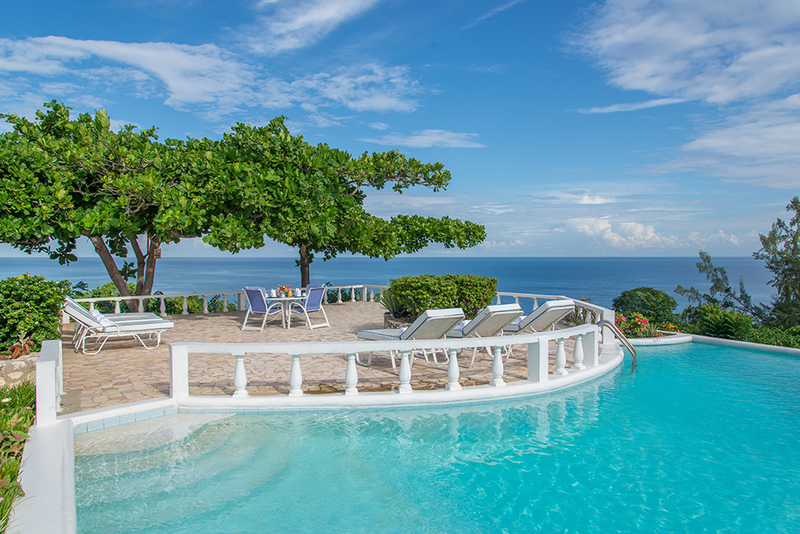 The villa is perfectly situated and appointed. This is the best "Linda Smith" villa yet! The entire staff made us feel at home! We had a great time and thank you and the local staff for everything! Very comfortable. Five star service! We enjoyed everyone. Everyone was great. Thank you for everything! We loved Cliffside! We loved it, it was fabulous. The only reason we would not return is if there were no access to Tryall. Our kids really enjoyed being able to go to Tryall and enjoy beach activities there.